Having any type of half marathon experience was never something I planned on doing. I never considered doing anything that was even remotely involved running a half marathon not even watching, planning or preparing for one. The idea of actually running one certainly was NEVER on my mind. Once again, I didn’t plan on running a half marathon but I had been thinking about it. After working out with an ultra runner, Noel D’arcy (Death Race Finisher), for quite some time and hearing ultra marathoner, Dave Proctor‘s story while interviewing him on Exploring Mind and Body I was intrigued. I wondered what it was like to run for a great distance. Then of course there’s the aspect of how much I believe our environment affects everything we do from what we wear to how we talk. Which is why a supportive environment of like minded individuals is so important to help you live a healthy lifestyle. So when I say I didn’t plan on running a half marathon, I really didn’t. I had been thinking about it though. The reason I didn’t train for it once again is because I didn’t plan on doing it. The truth is, I’m a spur of the moment type of person. I wouldn’t say it’s always served me well by not being a planner but I honestly don’t believe I would have run this half marathon if I took the time to properly train, research and condition myself for the strain I was about to put on my mind and body. *I should also share with you that I’ve never run this long before. In fact, the longest I’ve run before this was 10K which was over a year ago. So where did my inspiration come from? Sometimes I feel as though I have too much motivation. Odd I know because most of us find we are lacking it. February was heart month so given my profession ‘hearts’ have been on my mind. Especially since I renewed my CPR course early in the month. Two of my family members have recently experienced heart issues which have been on my mind and a good friend that passed the month before due to a brain aneurysm. So maybe I had more reason to run than I thought. Finally, it’s possible that arrogance was stemming from my world traveling athletic days and this caused me to think ‘it’s running, it shouldn’t be that hard’. I dug deep to think about why I decided to run a half marathon without training and belief came to mind. As a professional, I believe in what I teach, I believed in myself that I could do it, and I believed that if you live a healthy lifestyle (all the time) you’ll be able to do things you other wise couldn’t. My experience was…a whole lotta pain!! That’s the truth of the matter. I tried to mentally prepare myself for running this long and did the best I could, however I feel experience means more than any other type of preparation from books or visualization. I felt fine until I reached about 8K, this is when I realized I still had 2K to get half way to my initial goal. My goal was to get to 10K which I had done before and knew I could do. After 10K I felt that if I ran one way that far, I could run back that same distance. Due to my lack of planning I actually got lost at one point running down rural country roads. My mind set when I started was, if I took enough right turns I’d end up where I started, which eventually happened but not without a couple side adventures. At one point, I ended up running down the train tracks to avoid a major highway. From the moment my foot hit the first board on the track my conscience reminded that this wasn’t the best idea and it was really unsafe so I decided to change course. I heard some trucks through the trees so I ran through the trees thinking I would come to alternate route. Wrong! It turned out to be some sort of business the trucks I heard were driving around the yard. I asked for direction and believed I was getting myself back on track. Unfortunately, the directions I was given were inaccurate. I ran in a giant circle and ended up exactly where I started from when I first got off track. The last 8 k were more difficult than I had ever imagined. I felt light headed as I pushed on. This was likely due to partial dehydration. My calves felt extremely heavy and I felt inflammation in my knees and lower legs. My hands also began to swell which I’ve never experienced before. After, I was told this is normal for long distance runners. I made it back to town with 2-3K still to go in order to finish my first 21k run. Honestly I wanted to stop, I wanted to give up. My thoughts…no one will know, no one knows I’m doing this, I just want to lay down, I’m thirsty, I’m hungry….etc. I wasn’t able to let myself quit. I thought back to my days as a world travelling athlete and I was reminded of what it took to push through long seasons, to live in different countries and to be placed in difficult situations. The fight was alive in me as I circled through town running block to block watching my watch, waiting for that 21k to hit. I finally finished. Victory was flooding through me as I approached my front door. I opened the door, hobbled upstairs and the first thing I did was drink a glass of water. After that I ate an apple in 3 seconds flat. For some reason, I was craving sugar like I never had before. Nothing processed with refined sugar like a cookie but fruit sugar. I felt like I could eat 100 apples and each bite was heavenly. Then I laid on the floor with my legs up in the air. This is to prevent pooling and increase circulation. *I also drank coconut water throughout the rest of the day. I’m not one of those people that reward themselves with ice cream, chips or fast food. I’m not saying I never eat ice cream or chips but I’ve never rewarded myself in this manner. Particularly when putting your body through an enormous amount of stress, I feel it’s extra important to help your body heal the best you can with proper food. Now I’m not saying I have an issue with someone that wants to drink a beer or eat a giant burger after some event in celebration, I’m just saying that’s not for me. It was important to put healing foods in by body as quickly as I could which is exactly what I did. 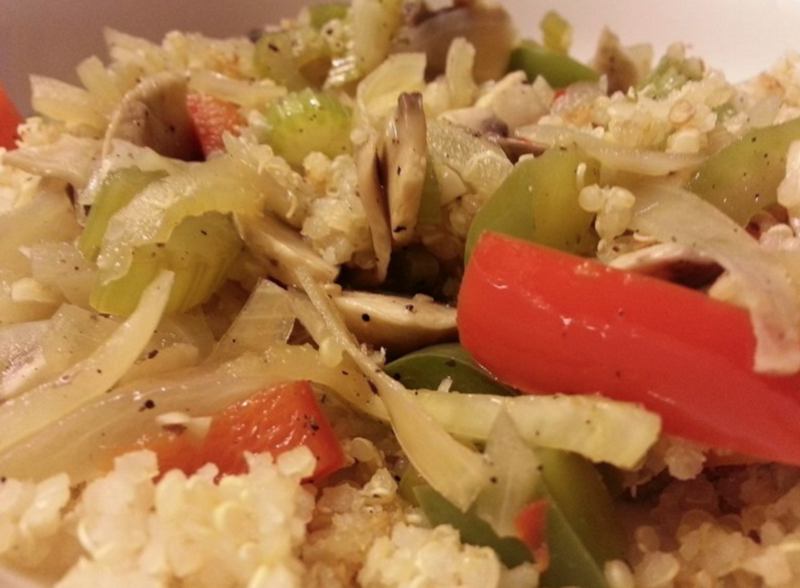 I hydrated with natural sugars and enjoyed a plant based stir fry. When healing sleep is incredibly important. This is when your body has the best chance to heal. When you’re at rest, when you’re still and when you don’t have so many things going on (both mentally and physically). I went to sleep early that night and slept for 8 hours which had much to do with a speedy recovery. The next day I experienced much pain mostly in my hips (hip flexors), knees and lower legs (below my calves). I was also surprisingly sore in my upper back and biceps. As I continued to do my best to recover as quickly as possible I made sure not to miss a meal that next day, I didn’t consume any processed food or refined sugar knowing that would delay my recovery time. I also understand that food heals, food cures and food prevents, which is why I only put quality food in my body and made sure to eat on a regular basis which isn’t entirely different from the way I normally eat and teach. I drank another coconut water that day, and hydrated with filtered water throughout the day. I also stretched using a foam roller, along with the ‘stick’, stretched repeatedly and had a rejuvenating himalayan salt bath (the recipe for my salt bath included lavender essential oil, baking soda and zen music as I relaxed and healed mentally and physically). Finally, I mixed arnica cream and peppermint essential oil together and rubbed it on my sore spots. In the spur of the moment I ran a half marathon on Monday not long after a morning workout. It seems as though I wasn’t finished….. The truth of the matter is, I wasn’t satisfied with my run. I felt slightly defeated as I nearly crawled back just barely managing to get through 21K, which left a bad taste in my mouth. The other reason I wasn’t finished yet was because my experiment was only half done. 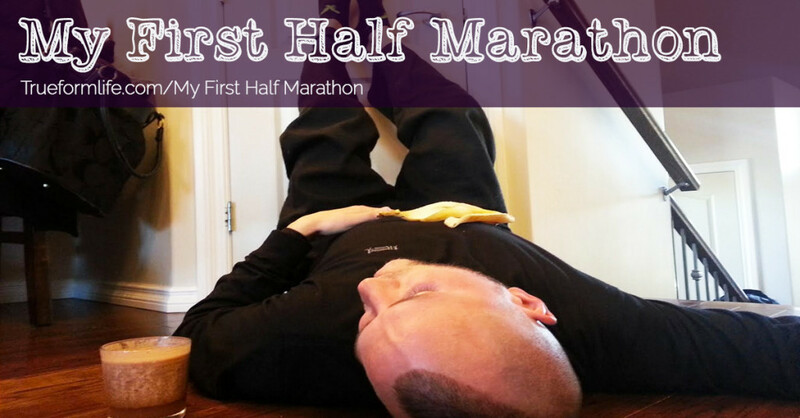 Not only did I want to see if my mind and body could handle a half marathon without training but I wanted to see how quickly I could recover as well. Without a doubt I was still sore, but I was feeling motivated about how good I was feeling given how much stress was put on my body the day before. So once again I woke up for an early morning workout, warmed up on a couple different machines and thought, ‘I don’t feel too bad’. I felt similar to how I felt the morning I started the 21K. Now, 10K was calling my name. After doing everything I could to recover in a day and a half I wanted to see if my body could handle another long run pounding on pavement. My mind set was something like, ‘you just ran 21k, you can run 10 without a problem’. I was wrong. I went out there again, inspired and motivated but it was hard. Harder than expected. At about 3K a few aches came back from the day before. My inspiration was gone by 5K, however I did realize I was already half way done and told myself, the other day you were only a quarter of the way through at this point and finished. So I pushed on but this time it wasn’t good enough just to finish and drag myself back. I talked myself into ‘looking like an athlete’. This is something one my coaches use to drill into our heads. He would say, “even if you don’t play like an athlete you can at least look like an athlete” – haha – not the nicest man. I ended up finishing and had two of my best km’s in the second half of the run, which I was happy with. 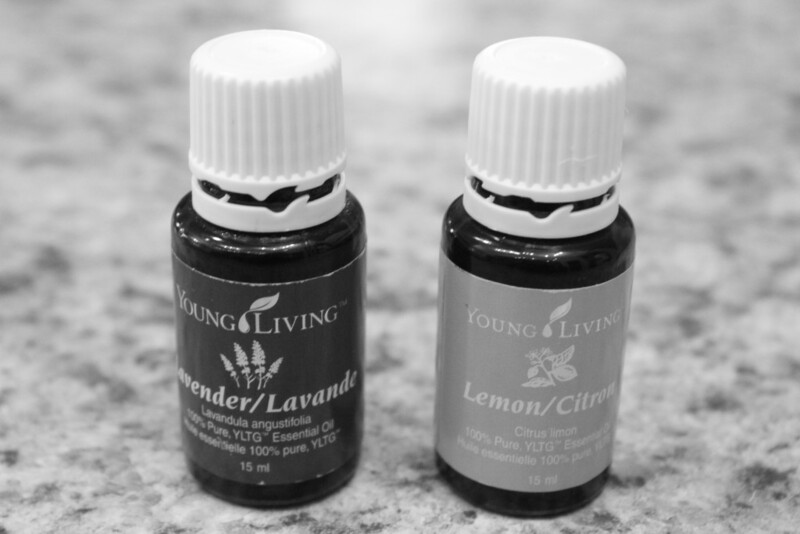 The only injury to report was a blister the size of a toonie which was quickly taken care of with lemon and lavender essential oil. My blister started to form after the first 21K, it bubbled a little but didn’t bother me until after the 10K a couple days later. The blister was almost gone with two treatments of essential oil, one in the morning and one in the evening. The next day, the blister was literally hard to find for treatment that next morning. It’s not my intention to say you should go out and run a half marathon without preparing. I’m sure there is a dozen different things conventional or conservative thinkers could say about why this was a bad idea. I should note that in recovery I didn’t eat much differently than I usually do which gave me an advantage. I don’t live a stressful lifestyle and I don’t fill by body with toxins which all helped me recover and get through the initial half marathon. And because I work out on a consistent basis which includes 3-5 times/week of resistance training, along with a possible ab workout or yoga day, my body was strong and able to handle a certain amount of stress that someone who doesn’t eat well and workout on a consistent basis wouldn’t be able to. The truth. This is what I’m always after and what I’m always preaching. What I believe in to my core. I believe if we put our mind to something we can do it. I believe in food, I believe proper nutrition heals our body without *supplements or pharmaceuticals. I believe if you are active and nutritionize your body on a regular basis you can do things you otherwise couldn’t. You could run a half marathon if you choose, you could heal your body rapidly, you could avoid dis-ease and you can strengthen your body, heart, lungs and more….by being active. And lastly and certainly not least…..you can inspire. I talked about my inspiration earlier but I wasn’t finished. Not long after I shared my story with our Monthly Members and received messages that only inspired me more. 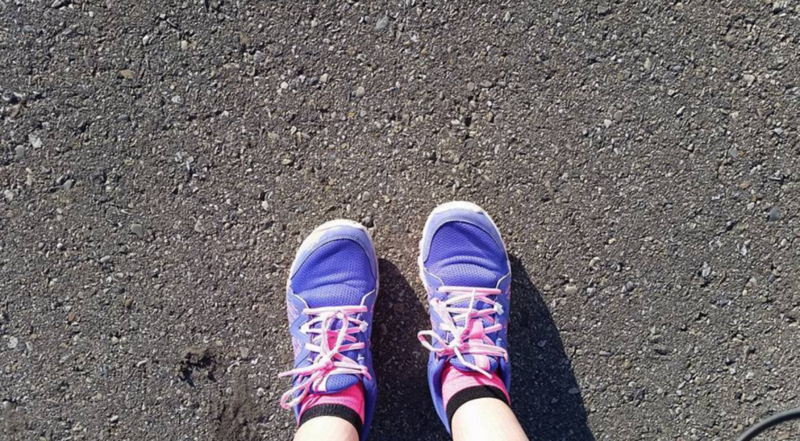 Teresa posted how she walked 5K and enjoyed time outside. Falon shared her story of how she hadn’t run in 150 days! Laced up her shoes and ran a 5K. Where some may find lack of motivation I consider myself incredibly fortunate to be surrounded by inspiration every day. I wake up to a group of like minded individuals who choose to work on their health. They choose to improve their lifestyle. I’m motived by those that try juicing for the first time (or do so on a regular basis), by those that are dropping inches, trying new foods, staying active, setting an example for their children and are dedicated to making themselves a better self. This is a gift they give me, each and every day. For more details on how I stay fit and active enough to run my first half marathon without training join our FREE 10 Day Fitness Challenge! *Regarding supplements I used Complete Truth Protein (which isn’t a conventional supplement) and I used Purdayme‘s amino acids to help with recovery (again showing I’m not against good quality supplements but feel that we should look to food first).